Autumn is here, there is no denny! From the leaves on the pavement, to the chilly brise in the morning... the first stews and the first soups take place on our dinner tables. I think my favourite food is winter food... after all, I am a winter girl (born over christmas!). Today's Cheap n' Cheerful is a recipe given to me by my dear friend Lizzie. I gave it a little "Raquel's touch" though. One medium cauliflower will be enough to feed 4. Add one teaspoon of turmeric and a sprinkle of ground coriander and a little sprinkle of nutmeg. 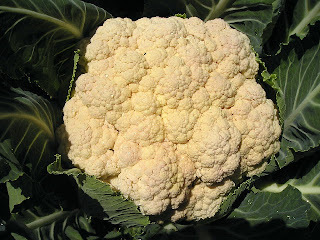 Chop the cauliflower in little cubes and add to the onions and spices. give it a little colour before adding about a pint of vegetable stock. 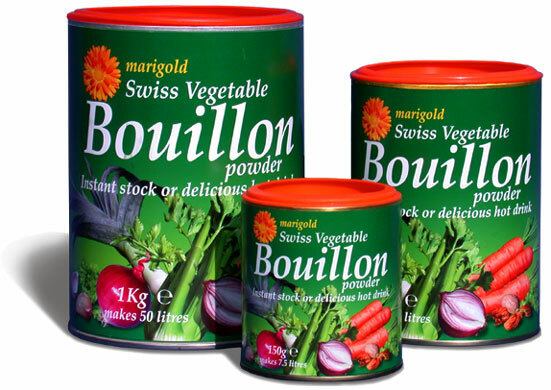 I like Bouillon, but any organic stock is okay. when I have the time, I make stock with hot water, celery sticks, bay leaves and the skins of the onion and leave it for about 20 minutes. Now your cauliflower is cooking... leave it for about 10-15 minutes and when it's looking mushy, blend everything together. I like at this stage to add one piri piri or black pepper to give it a kick. Your soup is now ready to eat! Add a spoon full of creme fraiche or for a lighter version a spoon of natural yogurt. Season with black pepper. I like my soup with croutons so I just get some stale break, cut it into little cubes, add about 4 cloves of garlic and a big splash of olive oil. Leave it in the oven for about 5 minutes and it's the perfect combo!